Sometimes the most unlikely places will teach us the most important lessons. Such was the case for Aaron with his baby goats. 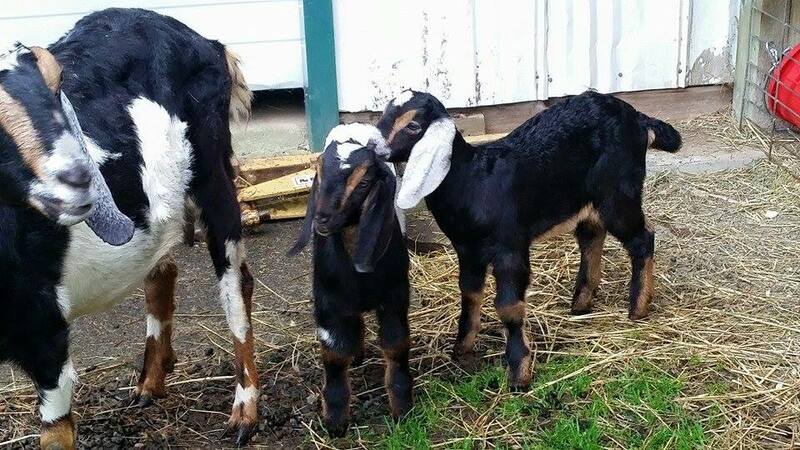 While looking at the farm life outside of his window on today’s podcast, Aaron reflects about the expectation the nanny goats have for their newborn babies to get on their feet during the first hour of life to suckle. Before going off on too much farm talk, Aaron explains that this gives us an interesting life lesson that we have to get up and get going in order to become what we intend to be. So how do you work smarter instead of harder to become the captain of the ship instead of one of the deckhands? These simple steps can be achieved by anybody. It’s the ambition and knowing what needs to be done as well as where to stop. When we see the success, sometimes we end up kicking ourselves for avoiding opportunities because of fear or lack of understanding and realizing that it should have been done years ago! Be curious. Next, make a decision as to what your outcome is going to be, then start taking baby steps towards it and educate yourself so that you can have a conversation with the right person to help you meet your goal. When you take an opportunity to try something, you may mess up, so when those situations arise (and they will) don’t ignore it nor should you run away from it, but instead lean in to the situation and maybe look at it from a different angle. To paraphrase Bruce Lee, some targets are only meant to be aimed at, and not to be hit. For Aaron, this means that by starting it up and moving towards that goal, we may receive another goal. In other words, we may get a slightly different outcome then what we initially imagined, but oftentimes that unseen outcome is even better than what we first started out for. So how did he get there? It wasn’t because he was something extraordinary, it’s because he started moving and got educated that put him ahead of others. According to his own mentor, if you’re standing in line, you’re probably in the wrong place. If you want to make a difference, just start and get moving. There is always someone there to mentor and coach you, but YOU have to be the one to get up and start to work toward your goal. If you’re enjoying these podcasts, become a part of The Lookout Society and opt in as a subscriber or write a review on ITunes. Feel free to send an email to AaronYoung@laughlinusa.com or contact us! If you want to make a difference, just start and get moving. There is always someone there to mentor and coach you, but YOU have to be the one to get up and start to work toward your goal. I came across 10 Lessons to Learn from Bruce Lee which had excellent words of wisdom, all of which could totally be applied with today’s podcast topic of getting up and getting started.